If you are or a loved one is using heroin or opiates on a daily basis, it is likely that you have become dependent on the drug and will, therefore, require heroin/opiate detox treatment. Heroin is an extremely addictive drug, which if stopped without medical intervention, will induce extremely uncomfortable withdrawal symptoms. This is why not many people can successfully go ‘cold turkey’ as these withdrawal symptoms in addition to intense psychological cravings often lead to relapse. The only real abstinence-based option available to someone with a heroin or opiate addiction is to undergo a heroin/opiate detox. There are different types of heroin detox available, with different theories behind the physical and psychological dependency and subsequent aftercare and recovery plans. How does Heroin/Opiate Detox Work? Heroin/Opiate detox is a process that should always be overseen by a substance misuse specialist doctor. During this process, an individual will be prescribed medication to ensure that the person does not experience significant (if any) withdrawal symptoms. It is very rare that a heroin detoxification would be carried out in a hospital as, unlike alcohol detox. Heroin withdrawal symptoms, though extremely uncomfortable, will not be fatal. For this reason, even if you have a severe addiction to heroin, a local community drug and alcohol team will not usually refer (and pay) for a heroin detox. It is always combined as part of a long-term rehab package for complex and chronic users. Unlike in the case of alcohol, there is also no such thing as a heroin home detox. The best place to undergo a heroin detox is in a private residential treatment centre that has the 24-hour staffing to monitor and support you through this process. One option for someone dependent on heroin is to go to a detox centre that does a rapid opiate detox, sometimes as short as 5 days. What this usually involves is stopping the heroin or opiate use immediately upon admission, followed by heavy sedation with other drugs such as benzodiazepines so that you do not feel the effects of withdrawing from the opiates. Rapid detox is not recommended by NICE guidance in the UK, hence not commonly practised. This treatment would usually involve offering the patient a ‘Naltrexone’ implant, post detox. This drug, naltrexone, reverses the effects of opiates in the body, so if the user tried to use heroin whilst having an implant it would not work, if anything it would actually send the user into withdrawal (the opposite of the desired effect). This Naltrexone then stays in the user’s body until it wears off after about 6 months when a ‘top-up’ Naltrexone implant would be required. Furthermore, no psychological treatments other than basic advice and signposting to local services and support groups are usually provided with such a programme. Hence, the relapse rate is high. The other more common and recommended route of heroin/opiate detox is via opiate substitution followed by a gradual reduction, combined with psychological support. The treatment plan would involve replacing the heroin or opiates with a similar level of a substitute medication, preferably Buprenorphine (Subutex) or in some cases, Methadone. This form of heroin/opiate detox is recommended by NICE Guideline in the UK and practised by CQC-registered Rehab Centres that Rehab HC work with. The prescribing doctor would then, in collaboration with the patient, draw up a reduction regime where the dose of this opiate substitute is reduced slowly whilst under the supervision of medical staff and running alongside an intensive counselling and rehab programme. This process, if you are using heroin alone, may take roughly 14 days. What if I am already prescribed Methadone or Subutex? If you are already prescribed Methadone or Subutex, the detox doctor will first stabilise you on the dose that you are currently taking (also taking into consideration heroin or other opiates used in addition). Once you are on a Methadone dose of 30mls or lower, the doctor may facilitate a ‘switch’ in medication, onto Subutex (between 12-16mg) and then reduce the dose of Subutex. The other option is to remain on methadone and do a ‘methadone reduction’ which may be at a rate of 5ml every 3-7 days, depending on a number of factors, primarily the choice of the patient. If on a higher dose of methadone, say 50-70ml, you will reduce the dose at the same rate and then again have the choice of making ‘the switch’ when you get down to 30ml or lower. This will obviously increase the length of time required for detox, for example, someone on 70mls methadone would need to consider a longer detox and rehab programme compared to someone on 30mls. The choice of heroin/opiate detox will be dependent on a number of factors. If you have life commitments and want a ‘quick fix’ then the rapid detox may be the only option available. If you believe that your heroin addiction is only one of physical dependency that requires little to no psychological support, this again would be a reason to take this option. The problem with the rapid detox is that it does assume that opiate addiction is merely physical, which is not backed up by research or evidence. It is also not recommended by NICE Guidance in the UK. In fact, it is recommended by the NICE guidelines that all medical detox treatments are supported by and run alongside ‘psycho-social’ interventions. This rapid detox method does not do this and leaves the addict with the underlying issues that may be a trigger for future relapse. The other issue is that the Naltrexone implant does ‘wear off’ and will need replacing (at additional cost) and this process could go on for years. We have heard many stories from addicts who have missed appointments (sometimes deliberately!) for the top up implant and immediately relapsed into drug use. We have also heard the horror stories of users with cravings so strong to use (because they haven’t dealt with the underlying issues), that they have ‘dug’ the implant out of their bodies so that they can use heroin again! The recommended form of detox from an opioid is to undergo the replacement, reduction and rehabilitation method, with Buprenorphine the preferred choice of medication as it is easier to ‘come off’ of Subutex than it is heroin or methadone. As this detox method reduces slowly, it minimises the withdrawal symptoms significantly, which are only experienced slightly after your last dose of medication. By this point you will have not used heroin for a couple of weeks and have undergone a significant amount of 1-2-1 counselling and group support that you are in a positive frame of mind to overcome these symptoms, which can also be treated with various short-term doses of medication such as sleeping tablets and other ‘supportive’ medications. Another form of detox involves using a drug called Lofexidine. It is intended to offer quicker treatment but it has differing effectiveness. How long does it take to do Heroin/Opiate detox? Gender, Age, Height and Weight. History of previous heroin detoxification and level of motivation to detox. Where can I find a Heroin/Opiate Detox centre? 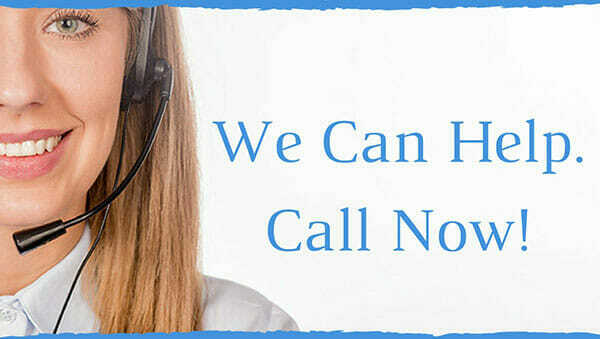 AddictionRehab Helper works with a number of rehab clinics that offer opiate detoxification. The doctors that work with for these clinics are specialists in addiction and your detox will be overseen by both the doctor and substance misuse nurses on a daily basis. If you experience any symptom of withdrawal they will be on hand to provide medication to make your detox as comfortable as possible. 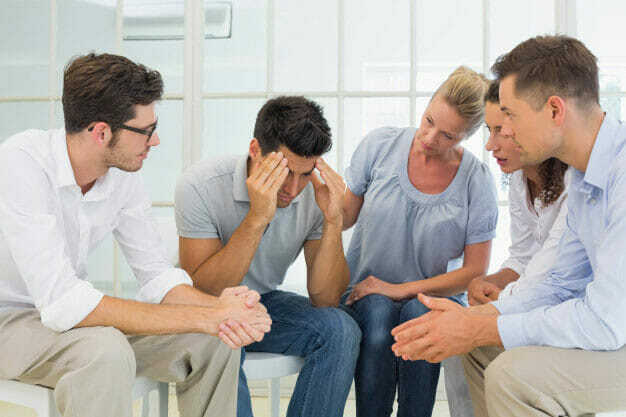 Rehab HC would recommend such rehab centres as they also offer the crucial counselling, group-work and mutual aid support so that the addict can talkddd about and overcome the ‘psychological’ side of the addiction, which is a better long-term solution than the ‘sticking plaster’ that is a Naltrexone implant. Both the NICE guidelines and Rehab Healthcare would recommend a course of rehab after the detox has tended to maximise the chances of long-term recovery. Rehab HC works with a number of CQC-registered Residential Detoxification facilities in the UK and finding the right one for you will be dependent on a number of factors and your preferences as to the kind of clinic you attend. If you or a loved one needs a heroin/opiate detox, do not hesitate in calling us and one of our Advisors will assist you in finding the right place for you.